Awesome product. I have lived a live of avoiding any kind of gels but these are so much more palatable than the others. Great flavours and a good idea to have the option of caffeine or not. Awesome product, have used these and Raw Energy as a combination for several 11hr+ extreme triathlon races this year with no issues at all, great energy too! The Mountain Fuel Jellies are so easy to get down, they melt in your mouth and are not gloopy like gels. They seem to absorb quickly and with no ill effects and the flavours are refreshing but not sickly. Love em. 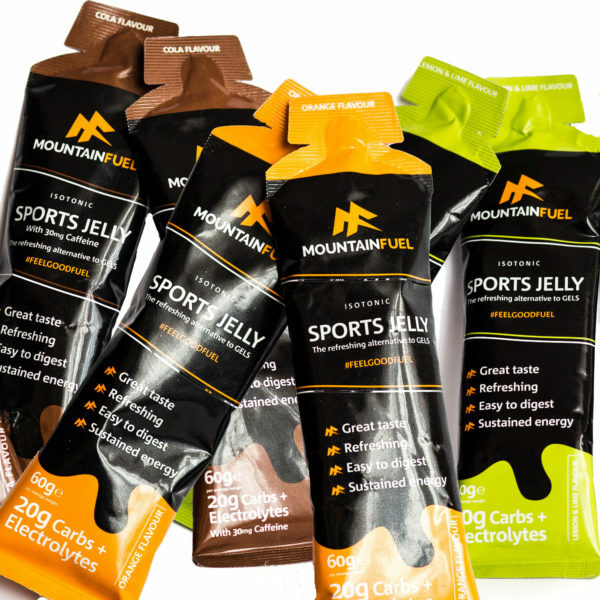 In the past i’ve tried loads of different gels during half marathons and marathons but always struggled to find the right one.Not any more after trying the Mountain Fuel Sports Jelly. 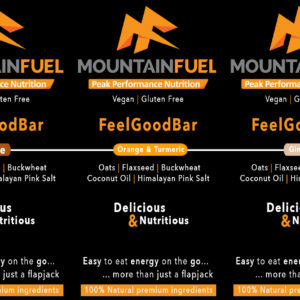 I first used them in the Keswick Mountain festival 50km and found them easy to consume with no sickly after taste like other gels.I’ve since used them in road half marathons and during my training for York Marathon and found they give me a great energy boost.Along with Mountain Fuel Raw Energy Fuel they are a winning combination and I don’t need to worry what to take with me on training runs and races anymore. Loved the jelly and my favourite was the Lemon & Lime because it was refreshing after doing 10 miles in. On a half marathon, give me a boost to finish the race. Used during HM White Horse Marathon and the Deadwater Ultra. On both occasion they where brilliant at giving me sustainable energy without any crashes you get with conventional gels, meaning I could move quicker through the checkpoints and keep a greater pace throughout the event. Couldn’t recommend these enough ? I was already using mountain fuel as my drink and also the chocolate recovery powders. My tummy isn’t keen on gels although it will tolerate a few of certain brands. 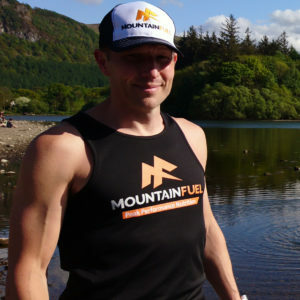 I was made up to find that it seems to find Mountain Fuel sports jelly acceptable. I used it on the GRP and it slid down fine, without the need for loads of water and without getting me in a sticky mess. Prefer the lime flavour. 30 odd hours into an ultra I needed a boost and was struggling with the normal food on offer. It got me to the finish and a surprising podium place. Awesome, simply better than anything I’ve had! I have been using the extreme energy mix sucessfully for years but the new sports jellys are gamechangers! So convenient in sachet format and very easy on the stomach., Far and above any other gel type product I have used. I have had to limit the amount I carry on runs as I just end up eating them for the taste! Just made my second bulk order for upcoming training block and race! I’ve been using the Jellies since they came out and they’ve accompanied me on a 50 mile race on the North Downs, a multi-day race in Bhutan and a mountain ultra in the Pyrenees, as well as numerous long training runs. I’ve not experienced any sickness or drops in energy, even on the longest of runs. They taste great and even quench your thirst….finally I’ve found an alternative to gels that work! 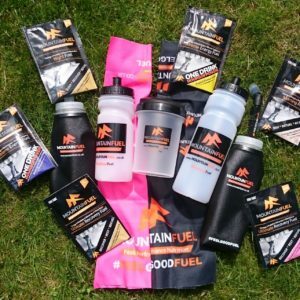 Thank you Mountain Fuel, I’m going to be using them on a road marathon next. As a Type 1 diabetic, I struggle to find any kind of gel/energy product that is both convenient to consume while running and also doesn’t give me a ridiculous blood sugar spike, but, I seem to have found one thanks to the Sports Jelly. I tried each flavour upon release and they are all very tasty with no real need for a drink alongside them, which is also a huge help. They give sustained energy release without the need for half a bag of Jelly Babies or other sugary substance. So intrigued I had to try sports jelly! Fantastic product especially the cola with caffeine. I pretty much covered 100 miles using raw energy, a sports jelly every 6-8 miles and a recovery fuel every 20 miles and felt good. 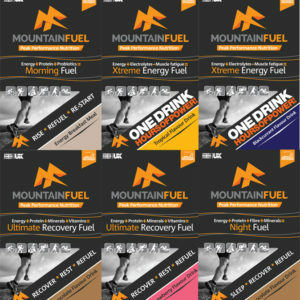 Mountain fuel is definitely the fuel for me and the same goes for everyone that I’ve reccommended it too. Had the opportunity to try these jellies before they came out during the Three Peaks 2017. It’s safe to say they gave me a massive boost, much needed in the final miles. The taste was great, not strong and didn’t sit on the stomach. Having now tried them once they’ve been properly released, the flavours are even better and the consistency is so much better than other gels. Seems to quench thirst too – great product! Having not had the opportunity to test them out, I used the new Mountain Fuel Sports Jellies for the first time in my first long distance endurance event (Triathlon X). I’d failed dismally to get anything solid down, but along with the Mountain Fuel Raw Extreme Energy, these products saved the day! Palatable, easy to digest and provided me with the fuel to finish the event two hours inside my target time and with a huge smile on my face. I no longer need to worry about fuelling for an endurance event. Brilliant!